Q – I don’t know my paint code but I need a touch up? Q – Where can I find my paint code? A – Your paint code will be in your vehicles hand book and can also be found on a sticker or plate on the car; usually located inside the door frame, under the bonnet, in the glove box or wheel well. You can also check out the handy paint code finder from our paint partners at MPEX. Q – Can you just get paints colour matched for cars? Q – I have a classic car, can I get colour matched paint? A- We can still match paint colours for classic and vintage vehicles but not by registration look up. In this instance we would need you to check for your paint code, or know the colour name... any queries you can ask our expert team who will be happy to help. Q- Which size paint is best for which type of scratch? A – For respray’s obviously an aerosol is what you need, for scratches and chips you can choose either a 100ml pot touch up with a fine brush or a 20ml pen with a needle point pen and super fine brush. The pen is ideal for fine detailed scratches, scuffs and stone chips as the needle point allows just the right amount of paint to be applied and sits nicely in the scratch. Q – Do I need to use a primer and lacquer? A – A primer is only required if your chip or scratch goes down to the metal and if any rust is present. A lacquer is recommended in most instances – especially with metallic paints. It should be applied 24 hours after the coloured coat and will give a perfect finish. Q – How do I get the touch up to look its best? A – The key to applying a successful touch up is smooth, light strokes and building up layers to the original paintwork level - leave to dry for 10-25 minutes between coats or 24 hours before lacquer. Q – Can you mix pearlescent paints? A – Most modern paints are metallic and many are pearlescent and we can mix 99% of pearlescent paint codes. There are a few tri-colour mixes that cannot be matched. Posted in News, Advice on 8th February 2019 . Colour matched paints - now available! Stone chip, door scratch...don’t go Nuts, Go MotorNuts for a touch up or re-spray! MotorNuts have another exciting new product line that customers are going to love...colour matched paints, mixed to order. Always on a mission to make things easier for our car loving customers we have an exclusive new product and system from leading brand MPEX to match the right coloured paint to your vehicle. Previously to get a colour matched paint you would need to know your paint code, or be sent to look it up on your vehicle. We have an online exclusive bit of software that allows us to do the hard work for you. Simply select whether you need a touch up pot and brush, touch up high precision pen or aerosol spray, then give us your reg and we will mix the exact colour match touch up and dispatch straight to you. There are paint matches for cars, motorcycles, commercial and agricultural vehicles, available in over 77,000 colours including RAL, BS and pantone shades. We have teamed up with leading specialists MPEX on these paints because they are body shop standard 1k quality paints. Unlike cheap paints which can give far less accuracy in colour matches and can be prone to reactions or contaminations our MPEX paint is professional quality 1k air dried paint using a tinter system so gives a far more precise paint match. For a small scratch – our high precision touch up pen perfectly applies the paint within the scratch without leaving excess on the bodywork. For a scratch, scrape or chip wider than 3mm our touch up pot with its flat, fine brush head is the perfect way to apply your paint. For re sprays – our colour match aerosols with adjustable nozzle gives a body shop quality finish. MPEX paints are currently being advertised on DAVE...the TV home of motoring nuts...check out the ad here. Posted in News on 17th May 2018 . There are a number of new and changing laws that all motorist need to be aware of from this May so here is a round up from out MotorNuts. As from May the MOT system will introduce new categories in theory making it harder to pass if you have any defects. Dangerous and major will both deem fails. Minor, along with advisory issues that are noted now will be passed. In addition Diesel Filters now form part of the check and daytime running lights will also be checked from now on. Vehicles over 40 years old will now be exempt from needing an MOT. With the increase of ‘smart motorways’ and the use of the hard shoulder in busy times drivers are also taking it upon themselves to ‘misuse’ the hard shoulder using it in non busy times when indicated closed (with the red X). Previously motorists have received warning letters of the cameras caught them using the hard shoulder but from now onwards they will be punished with a £100 fine and three penalty points on their license. As from June you will see L Plates on the motorway. Learner drivers accompanied by driving instructors with full dual control cars will now be allowed on the motorways as part of their lessons in order to better prepare them for once they’ve passed. A quarter of car accidents which lead to death or injury occur from drivers between 17 and 24 and more than 40 percent of all fatal car accidents occur at night. With these startling figures it is now wonder that leaders are pushing to bring in new legislation banning young people and new drivers from driving at night. The DVLA are finalising the details to roll out the digital driving licence meaning drivers could soon never be without their licence with a version on every smart phone. The plans are to have this as well and not instead of the photo cards. One thing that hasn’t changed is that www.­MotorNuts.­co.­uk has thousands of car parts and accessories available whatever your motoring needs – we are THE Nuts when it comes to motoring! Posted in News on 1st May 2018 . What's YOUR Tyre Size? Find out NOW! Knowing the tyre size of your vehicle is handy, and when it comes to buying the right space saver it's essential. Some people think the wheel size is what matters but it's the tyre size that we need to work out the correct space saver for your vehicle. So first up, HOW to find it. Then, when you do, you need to be able to understand it! It's not as complex as it sounds and here is the Motornuts guide to getting it right..
You may have never even looked properly at your tyres; most people think that as long as they're not flat or bald then everything's fine. A closer look will reveal your tyre size as it's usually printed right there on the side. To the uninitiated, it looks like a tangled jumble of figures but everything has a specific meaning. The final letter represents the speed rating, which is the maximum speed recommended for the tyre at full load. The lettering system is somewhat bizarre and comprises, in order; N, P, Q, R, S, T, U, H, V, Z, W, Y. The higher up in this list indicates a higher maximum speed. The space saver wheels we sell from RoadHero solve a genuine problem with as many as two thirds of new cars not coming with spare wheels or space savers but repair kits instead and we find that most drivers prefer the peace of mind of having a traditional spare. The RoadHero kits are specific to different vehicles make, model and year. If you cannot find your vehicle in our listings please contact our team for help. Posted in News, Advice on 12th April 2018 . The new caravanning season is nearly here so now is the time to gear up for a fun, smooth sailing run of caravan holidays. Before you get too excited and go dashing off, it's essential that you've got everything you need to make your break safe and successful. The team at Motornuts have pulled together our guide to the top ten products and accessories that will make sure your holiday is memorable for all the right reasons. Sanitation. Keeping your toilet facilities clean is up there as an essential in order to avoid them becoming a health hazard. We have a vast range of products in stock that will keep your facilities (and the rest of your caravan!) smelling nice and fresh, including the Elsan Blue and Pink toilet fluid twin pack. Together, the products kill all germs and bacteria as well as preventing algae buildup. Tyre Pressure Gauges. You don't want anything slowing you down so make sure that your tyres are properly pumped with one of our range of pressure gauges. Lighting. Being safe means being seen and we have a wide selection of lights for both inside and out; from awning lights to torches and bulbs for all lights. Power supplies and leads. Whether gas, electric or solar, this section contains all the accessories you're likely to need. First Aid. Accidents can happen anywhere and at any time so it's important to be prepared, particularly as you may be at some distance from medical facilities. Our vast range of first aid products is designed to cover all eventualities. Battery chargers and testers. Keep the power flowing with our choice selection of chargers and testers, all designed to give the fastest response. Security. 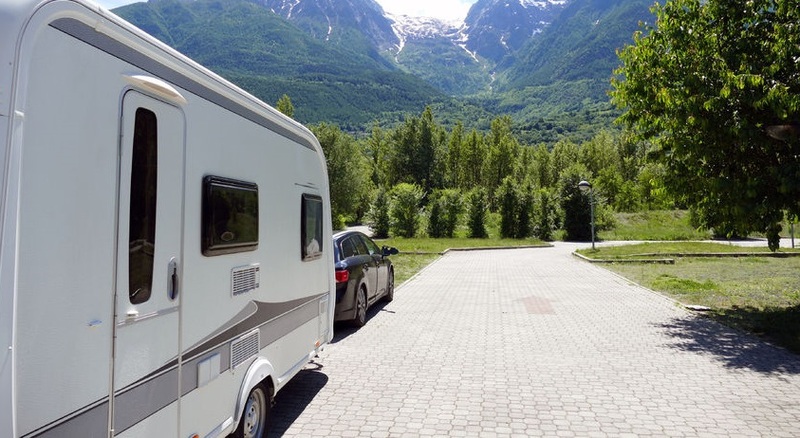 The last thing you want is for your holiday to come to an abrupt end because your caravan has been stolen so be sure to protect it properly with a wheel clamp, hitch lock or tracker. Accessories. To complete your caravan experience we have all the accessories you could need, from jockey wheels to caravan covers, storage bags, towing mirrors/­stabilisers/­accessories and caravan steps. Enjoy browsing the full range and order today for fast delivery. Happy holidays! Posted in News on 20th March 2018 . In the news car thefts are back up and by 30% as gangs have now worked out how to beat the technology. With many ‘keyless’ vehicles signals can be traced and copied and vehicles stolen easily without a key. As such vehicle owners are resorting to the traditional vehicle security devices such as steering locks or even wheel clamps and vehicle trackers, there are also a few top tips that are worth remembering to beat the car thieves. It may sound obvious but always make sure your vehicle is locked – its easy to leave it unlocked outside your house or whilst you pay for petrol, or walk away clicking the fob without checking if it’s worked. The Disklok is a tried and tested old school but obvious deterrent. It’s super visible (available in bright yellow or silver) and it takes longer for security experts (or would be thieves) to break in than its competition. Ideal if your vehicle is staying put some any length of time, these high security, steel wheel clamps are another visible, tamper proof deterrent ideal for trailers, caravans or motor homes. Like the steering locks, these exceed security standards and are insurance approved. For added peace of mind vehicle trackers can be checked remotely at any time and will provide and alert and vital GPS information should it be taken. It’s still worth mentioning the long standing advice to park in trusted, well lit areas and not to leave any valuable on show. Posted in News on 14th January 2018 . The tinsel is down, the turkey is done and now we are rip-roaring, raring ready for this New Year. 2017 was an amazing year here at MotorNuts HQ, experiencing incredible growth month on month - we grew our team, grew our offices and grew our range of products. Vehicle security products have been massive for us; we are a leading supplier of Bulldog wheel clamps and hitch locks and Disklok Steering Locks which have both seen sales soar with drivers wanting to take vehicle security into their own hands. Our newest product, Road Hero space saver spare wheels have really taken off as drivers want to feel assured they’re prepared in case of emergency. We are super excited for 2018 and we’ve got lots of new products lined up – extended lines and some completely new ranges and brands on board. Firstly new to our offering are paints – colour match car paints; touch ups and aerosols from leading brand M-Pex. We have been mixing paints to colour codes in our store for many years and we are now bringing these online...we will be launching the range soon WTS! We have added thousands of new tools to the site from market leaders Laser Tools, so no matter what the job your doing on what car part, we have the tool for the job. We are extending our ranges and bringing you even more choice – more tailored fit car mats, more car parts, more towing and leisure accessories and more from Millers Oils...and it’s safe to say there will be even more as the year goes on. A very Happy New Year to you all, keep an eye on the site and our Facebook page for offers and promotions. Posted in News on 3rd January 2018 . Its cold and its wet and the damp and dreary weather is starting to take its toll - no more so than on your car. Rather than run the risk of problems, MotorNuts recommend a few basic checks and some prep you can easily do to get your car in shape for the winter weather. Running without enough antifreeze in your engine is risky business - worst case scenario resulting in major engine works. Simply test your levels with an antifreeze tester and top up ready for the cold weather. - Windscreen – washer, wipers, scrapers, cracks! 1) Top up your screen wash as grit on the roads means you will need to use much more. 2) Are your wiper blades up to scratch, a simple replacement can make such a difference to a smear and squeak free wipe. 3) Frozen up – get yourself a good scraper and some de-icer at the ready for the mornings. 4) Windscreen cracks are more dangerous in winter when the water gets in and freezes. The guidelines on windscreen chips state that anything over 10mm within the driver’s line of sight (width of the steering wheel) causes and MOT fail and need dealing with. number plate light and fog lights. We at MotorNuts love a super bright bulb and recommend performance upgrades which give off 5,200 lumens of bright white light as opposed to 500 from standard Halogen bulbs. No one wants battery problems, particularly on the cold mornings. Dark nights and cold temperatures mean lights and heating used lots which pouts extra strain on your battery – particularly if doing lots of short journeys so your battery doesn’t have chance for a long recharge. Get yourself a battery tester and if required invest in a new battery, or if it needs a boost a charger. There are other bigger jobs that you can do too, such as fitting winter tyres, or investing in some snow socks or chains. We’d also recommend our winter essentials basics pack and winter survival packs, and check out the rest of our winter products here. Posted in News, Advice on 23rd November 2017 . Racking your brains for what to buy your Dad? Puzzling over what Aunty Pat might like in her stocking? Don’t go Nuts – we’ve got gift ideas for all tastes and all budgets. Are they a mega mechanic? How about the ultimate workshop companion - the Haynes Manual. Available for every make, model and year these straightforward guides cover everything from MOT prep, basic servicing and roadside repairs to full restoration projects. Everyone knows someone who’s always got a dirty car! We’ve got this covered (literally!) with our perfect fit Seat Covers and Car Mats - and if all else fails we’ve got loads of car cleaning products, including a great new T-CUT Wheeler Dealer Vehicle Cleaning Kit - perfect present. Fancy super smelling stocking filler? We have the much loved Jelly Belly jelly bean flavour inspired air fresheners including; cherry, vanilla, liquorice or even classic cocktail Mojito or Pina Colada. Nothing says I love you like... vehicle security?! But seriously, steering locks, wheel clamps, hitch locks, all make great useful and thoughtful gifts, view our range of insurance approved market leading security products for cars, vans, caravans and trailers. Know someone who loves to get out and about with their bikes? We have a great range of bike carriers, roof mounted, tow ball mounted or rear mounted ones. Ok so it’s not perfume and diamonds but who doesn't love a practical present – every driver needs the winter essentials; so why not make sure their supplies are topped up with a winter essentials gift pack. From parts to paints, oils, tools and much more MotorNuts have a massive range of accessories and parts available – avoid the crowds and shop online from the warmth of your living room with quick delivery and a friendly team of advisers on hand should you need any product advice. Posted in News, Advice on 14th November 2017 .